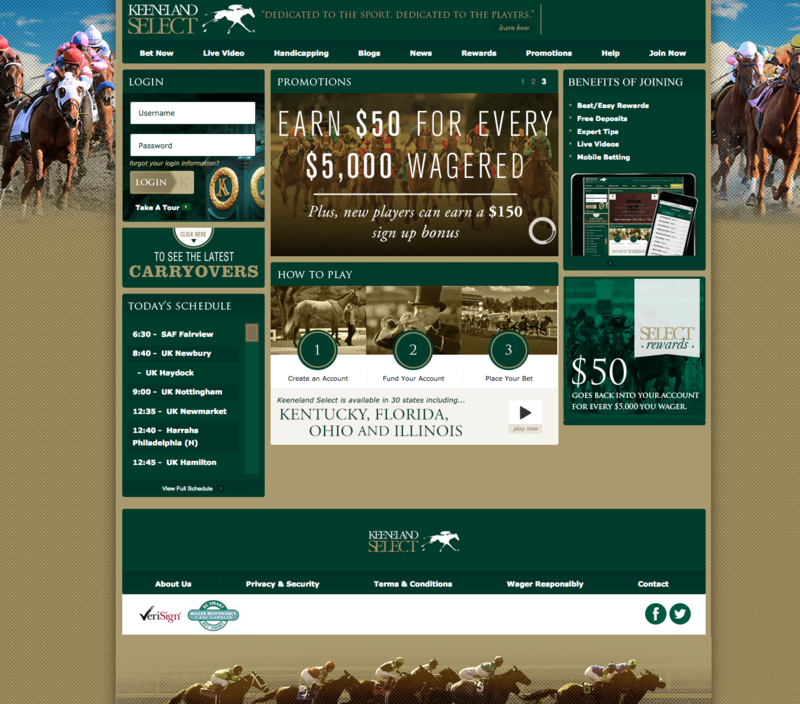 Keeneland racecourse in Lexington, Kentucky launched its own online wagering service in 2011 in conjunction with the same people who run TwinSpires.com. The original Keeneland betting site took bets right at Keeneland.com, but they have since moved the online wagering service to KeenelandSelect.com. Keeneland Select is the online racing betting platform for Keeneland Racecourse in Lexington, Kentucky. This betting site is US-based, US-legal and safe for real money betting. The first thing to know is Keeneland Select is a legitimate horse racing website headquartered in the United States and formally associated with Keeneland Racecourse. In fact, a portion of all proceeds taken in by Keeneland Select are redirected to the local horse racing industry through increased purses and rewards to customers. 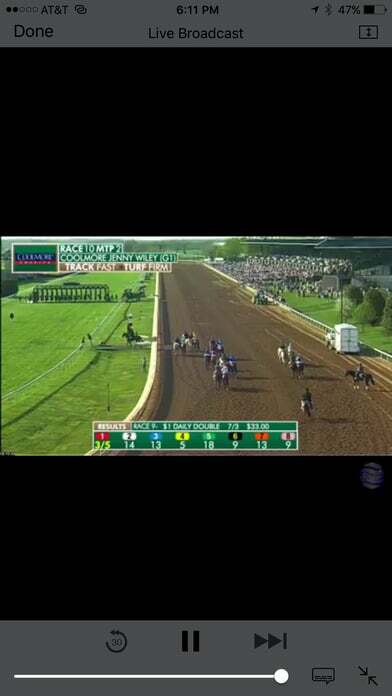 When you bet online at Keeneland Select, you play a role in promoting the sport of horse racing in the United States. If you haven’t heard of Keeneland Select before, that’s because they aren’t as active in promoting themselves as some of the more well-known horse racing sites such as BetAmerica, TwinSpires and TVG. Additionally, Keeneland Select does not have an affiliate program so there haven’t been too many website owners willing to invest the time to write a review. Keeneland Select may not be as competitive in marketing itself as some other sites, but it does offer a comparable online betting experience. New customers can claim a welcome bonus, place bets on races hosted around the country, watch live racing video, download the mobile app and make use of free Brisnet past performances. As far as the actual betting experience goes, Keeneland Select provides a full wagering menu that supports real money bets of all types. With software powered by the parent company of TwinSpires, Keeneland Select is as competitive as any other horse racing betting site. 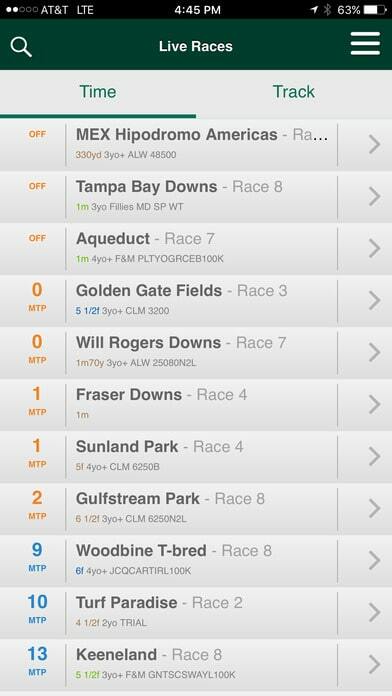 Any bet that would be available in-person at the track is also made available online. Keeneland Select has operating agreements with hundreds of tracks across the United States, Australia, New Zealand, the UK, Mexico and more. 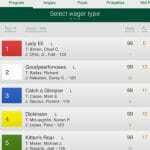 Any bet that you place online through KeenelandSelect.com goes directly to that track’s actual betting pool and all winning wagers are paid at full track odds. You can take a look at the Keeneland Select racing calendar to get an idea of just how many tracks and races the site covers on a daily basis. Keeneland Select offers a two-part bonus that you can use to get up to $150 in welcome cash. If you sign up for an account and wager $300 within your first 30 days as a member, they will drop $100 into your wagering account. After you have claimed your $100 bonus, you can get an extra $50 if you wager $5,000 within your first year of signing up. Each bonus will be credited to your account within 10 days of meeting the wagering requirements. 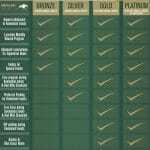 All bets placed online at KeenelandSelect.com, m.KeenelandSelect.com and by phone count towards the wagering requirements. This is a fairly straightforward bonus and the first $100 is especially easy to claim. The most important thing to keep in mind is Keeneland Select will verify your identity before they process any withdrawals. Your new customer welcome bonus is just the first of numerous promotions and rewards you’ll be able to take advantage of as a customer. New promotions for existing customers are released on a regular basis. You can check this page to see the latest promotions on offer for all Keeneland Select members. Other longstanding promotions include free Brisnet past performances, Insider Picks and Power Plays for all thoroughbred tracks. Once you have an account, you can download any Brisnet PP card free of charge as long as you place at least one bet on that track. Keeneland Select also has a long-running rewards program which gives you $50 for every $5,000 you wager. Every dollar you wager on races at Keeneland Select online, on-track at Keeneland or via simulcasting at Red Mile gets you 1 point. Every time your account reaches 5,000 points, they will drop $50 into your betting account. Wagering points also serve to move you through the four levels in the Keeneland VIP program. 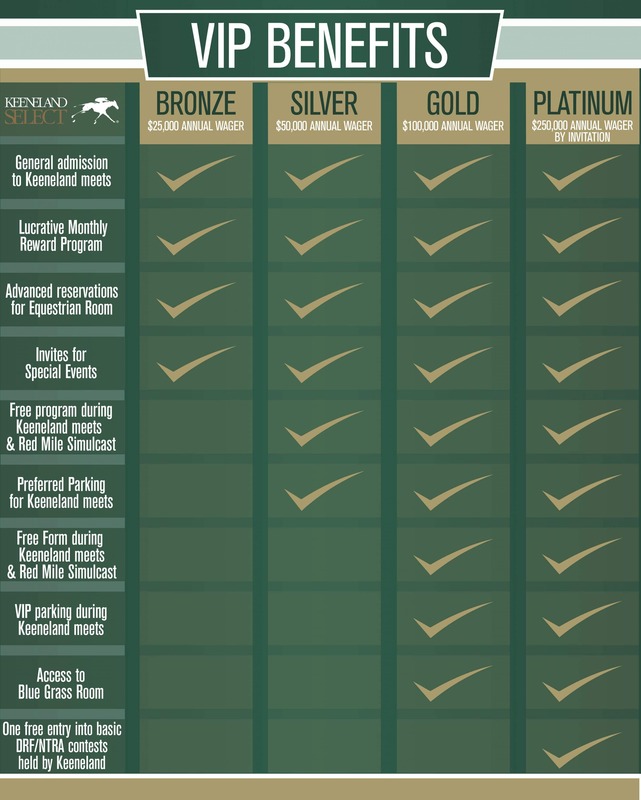 At the lower levels, you receive general admission to Keeneland meets, access to a monthly reward program, advanced registrations at the Equestrian Room and invites to special events. As you move up through VIP levels, your perks grow more lucrative to include things such as VIP parking, access to the Blue Grass Room and more. Additionally, Keeneland Select has a refer-a-friend program by which you can earn $50 for recommending the site to your friends. Just sign in to your account, fill out this form and Keeneland Select will send personal invitations to your friends. However, I don’t think many people will find the referral program lucrative because you only get credit if your referrals deposit at least $50 and place at least $500 worth of wagers within 60 days of signing up. Utility Bill showing the utilities are being paid at the address you provided during registration. 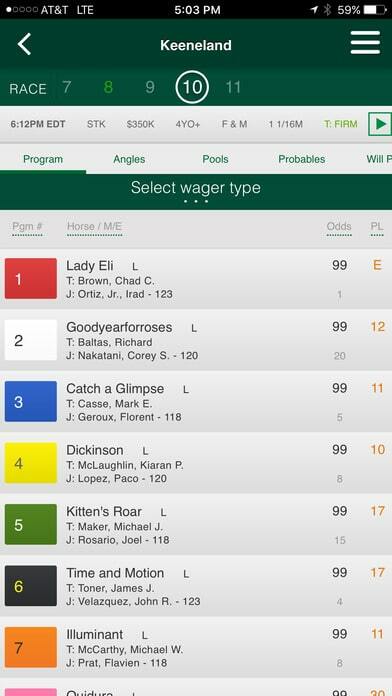 If you don’t have all three on-hand, you will not be able to create your account, sign in or even view the tracks available for wagering. This could cause serious frustration if you’re like many casual horse racing fans who attempt to sign up just ahead of a major event such as the Kentucky Derby. Other racing sites also require identity verification due to online horse betting laws in the United States, but they take collect that information later and over time. If you don’t have all three documents ready to go, you should not sign up here at the last minute before a major race meet. One other issue that might affect you is the number of states in which Keeneland Select operators. Currently, they only accept customers from 30 states. If you live in one of the 20 states not on the following list, you will not be able to sign up for an account. How is Keeneland Associated with TwinSpires? The Keeneland website explains that they have an operating agreement with Churchill Downs Technology Initiatives Company (parent company of TwinSpires) to run KeenelandSelect.com. There is also one page on the Keeneland Select website that accidentally describes a deposit method as “one of TwinSpire’s easiest methods for depositing.” That seems to indicate large parts of the TwinSpires website and interface have been copied over to Keeneland Select. If this is true, it’s not a bad thing. 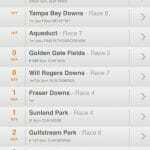 TwinSpires is a highly trusted betting site in its own right.